In an effort to take on the disabling effects of chronic, non-cancer related pain, the use of cannabis and cannabinoids continue to gain attention as potential alternatives to opioid medication and perhaps a way to dodge dependence on such. Yet, despite its perceived effectiveness, an online article published by The Lancet Public Health has concluded that the use of cannabis for chronic pain is not as helpful as originally thought. 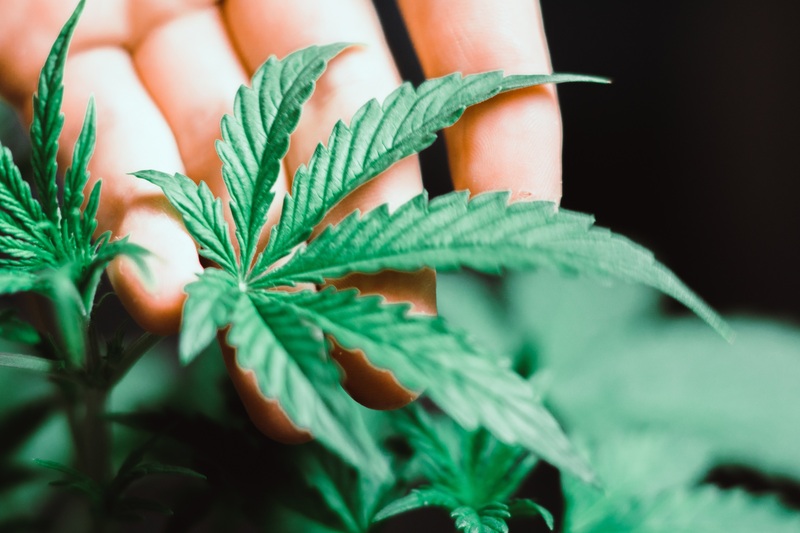 Thus, Dr. James Petros, President of Allied Pain & Spine Institute, provides insight into the cannabis and pain study, and takes the lead in helping patients understand the limitations of using marijuana as a treatment for pain. From August 13, 2012 through April 8, 2014, individuals taking prescription opioids for non-cancer related chronic pain were recruited by community pharmacies throughout Australia. Many of these also used cannabis for their pain. As a POINT (Pain and Opioids IN Treatment) study, its premise was to look into cannabis usage for these individuals, to investigate their reasons for using it and if they felt that it was effective. Furthermore, the study aimed to examine cannabis usage and its impact on mental health, the frequency of opioid use and pain severity over a 4-year span. Detailed interpretations of the study can be found here. Consequently, no evidence was discovered supporting that cannabis usage reduced prescribed opioid usage or increased opioid discontinuation. Dr. Petros also questions the amount of cannabis taken by patients daily, and if they were permitted to use any kind of modality. Ultimately, without active management of both a patient’s opiate and cannabis usage by a primary care physician and/or pharmacist, Dr. Petros explains that one cannot expect MEQ (oral morphine) to decrease. Similarly, if patients are not taking cannabis in an attempt to replace opiate usage, one cannot expect for opiate usage to decrease. In turn, it doesn’t appear that counseling was provided to patients on how to properly use cannabis to reduce their pain. This could have delayed an effective cannabis-based treatment. Finally, in regards to participants, Dr. Petros explains that the majority of the populations studied were significantly underpowered to detect the effect size that they predicted. Subsequently, no meaningful information was provided regarding comorbidities and other medications that patients were taking, not to mention their medical history and type of pain (somatic, neuropathic, etc.). Statistically, the study does not validate the conclusions offered in the discussion section of the article, and many appear misleading. Dr. Petros also believes that a bivariate cross-sectional analysis limited the study by only considering two variables, when pain is a multi-factorial indication. Given his balanced understanding of injury and illness, Dr. James Petros has transcended the sciences of pain with a comprehensive, yet versatile approach to patient care and pain management. For chronic pain conditions, Dr. Petros values conservative, evidence-based alternative treatments that will produce superior patient outcomes. This is best achieved with a multidisciplinary team approach and a commitment to integrative care—this is the promise of Allied Pain & Spine Institute. For additional information regarding the use of cannabis for your chronic, non-cancer related pain, or to schedule an appointment, the award-winning staff at Allied Pain & Spine Institute welcomes your call today.